Dr. Seuss bedding , Dr. Seuss furniture and Dr Seuss murals will brighten up your baby's face. Thanks to Jamie Delemeester for her wonderful pictures of Dr Seuss Nursery,she created for her Baby. When you create your baby's room, consider a Dr Seuss Nursery theme since it is colorful, bright, warm, and sure to bring out a smile in your infant. 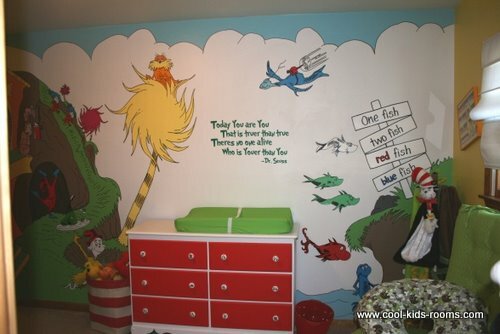 Many people choose various themes for a nursery, but certainly a Dr. Seuss nursery stands out as one of the best. They have so many various ways in which you can decorate the nursery is may seem overwhelming when you first begin. 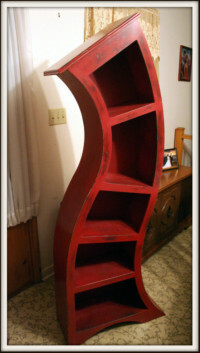 There are several Dr. Seuss furniture items in which to choose from such as a crib, mobile in the shape of the Trend Lab, book shelves. Dr. Seuss bedding comes in sets for cribs and include sheets, pillow, quilts, Dr. Seuss crib bumpers, and skirts. 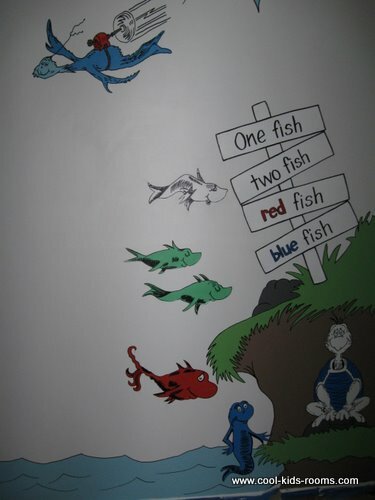 If you are a good artist, you might consider to paint Dr. Seuss wall murals. 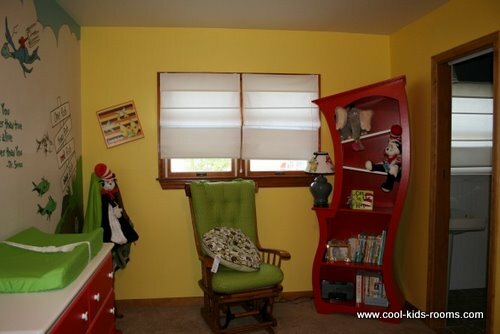 You will want to consider curtains or drapes in the Dr Seuss theme, since these make a room complete and can offset and blend everything together. 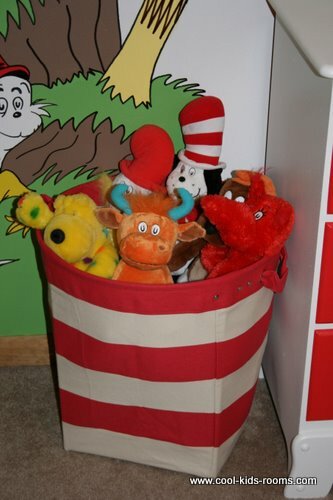 Additionally, Dr. Seuss storage bins as well as a Dr. Seuss wall clock truly add uniqueness to the room. 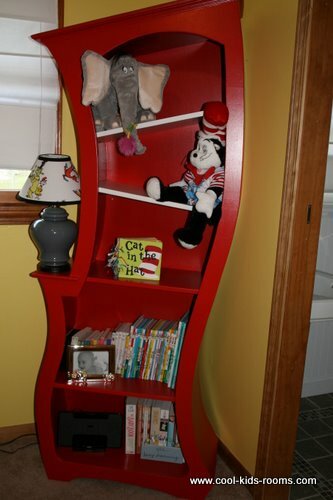 Of course, you will want a small bookshelf with all the famous Dr. Seuss books included, along with a nice comfy chair so you can sit in the chair and read your infant all the great Dr. Seuss stories you probably grew up with yourself. Lastly, you can have a Dr. Seuss hamper right in the nursery to truly make it a complete theme and add convenience at the same time. The Dr. Seuss Nursery is a perfect way to introduce your infant to his or her new world, and expose them to various colors. You probably grew up on Dr. Seuss yourself, so you know everything there is to know about the various ways in which to color coordinate the entire nursery. After all, your baby's nursery should be inviting and warm. It should instantly cause you and your baby to be uplifted by the light colors and create a sense of calm and comfort. You only get to set up your nursery once for this baby, and choosing the Dr. Seuss Nursery theme is an awesome way to introduce him or her to their new world.